Any County resident can receive a smoke alarm installed in their home by firefighters, free of charge, by calling our Safety First Line at 301-864-SAFE (7233). at the District 8 Annual Seniors Picnic. as well as smoke alarms, at the Seniors Picnic. Prince George’s County Firefighters and Medics handled nearly 450 calls on Friday as strong storms rolled through the area. It appears the storms played a role in a house fire that displaced a family of five and in a separate incident where a freak chain of events resulted in a tragic death. At around 8:30 pm, Friday, August 19, firefighters responded to the 1200 block of Sandy Bar Drive in Fort Washington for a reported house fire. Fire/EMS units arrived to find a 1-story single family home with smoke showing. Firefighters quickly contained and extinguished the fire. Fire Investigators believe that utility lines ignited a fire in a tree. The fire in the tree quickly extended into the house. Fire loss is estimated at $50,000. The County Citizen Services Unit provided assistance to five adult occupants that are displaced. There were no injuries reported. About 2:00 am, Saturday, August 20, firefighters responded to the area of Naylor Road and Southern Avenue in Temple Hills for a report of downed utility lines. It appears that a large tree fell on overhead utility lines causing tension on the lines. The tension resulted in energized power lines falling to the ground in a 2-block area and snapping a utility pole. The entire area was unsafe to enter due to the energized power lines that carry 13k volts of power. Firefighters re-routed all vehicular and pedestrian traffic away from the area. While assessing the damage, workers discovered a person that appears to have been struck by the top half of the snapped utility pole and energized power lines in the 3200 block of Naylor Road. Firefighters and paramedics could not safely reach the patient due to the electrical hazard of energized utility lines. Once utility workers terminated the electrical power to the area, paramedics medically assessed the patient. The patient, an approximately 25-year-old male, sustained crushing injuries as well as burns to over 50% of his body. After medical consultation, paramedics pronounced the male deceased on the scene. 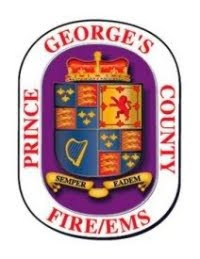 The Prince George’s County Police Department was requested and they will be conducting an investigation into what appears to be a very tragic death. This is an on-going investigation and no additional information is currently available.